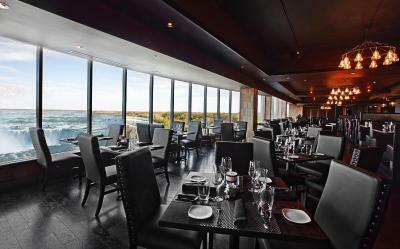 Lock in a great price for Niagara Falls Marriott Fallsview Hotel & Spa – rated 8.5 by recent guests! View was great, and the valet was very quick and convenient. 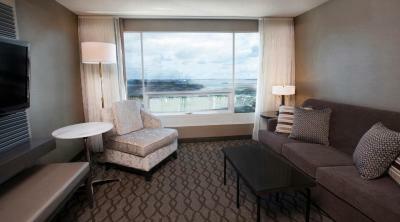 The Location is greatly perfect with the fallsview from our bedroom.Totally Awesome!! First night when we arrived it was freezing in the room. We all had to put sweat pants socks etc when going to bed. The heating didn’t work. Stuff was supposed to bring a portable heater, but they run out. There was work being done on our floor. (There was no information provided about it until we checked in. When arriving on our floor, the carpet was covered with dust, there were cups and bottles thrown on the floor and dirt left over from workers. The entrance to the work area was not secured. We have small curious kids who pick up things and want to check things out. I think the construction area should have been blocked off. Finally, the walls were paper thin. We could hear our neighbors conversation, scramming and fighting kids late at night. Wouldn’t stay in this hotel again. The view from my room was spectacular and the attractions were also very beautiful. Parking was a little pricey but it is a vacation. Walk to Niagara Falls and beautiful view of the falls from my room! I loved the comfortable beds, the view was amazing. 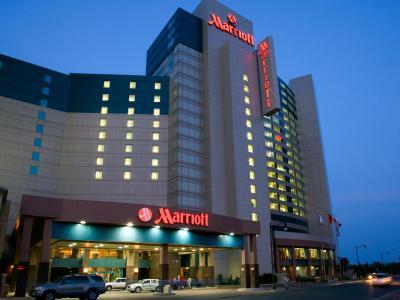 Staff was good ,, very clean and good location everything at Marriott hotel was very good we liked the hotel. The view from our room was amazing, the bed was comfortable, the bath tub was awesome for just relaxing in, and everything was walking distance from hotel . 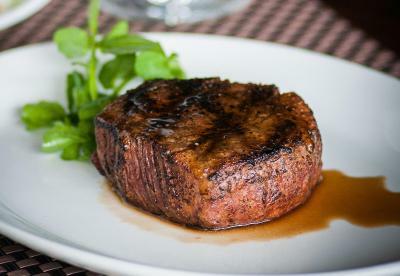 Staff was very helpful and nice , they helped with everything we had asked! The location was perfect. They have one of the best views in the are of the falls! 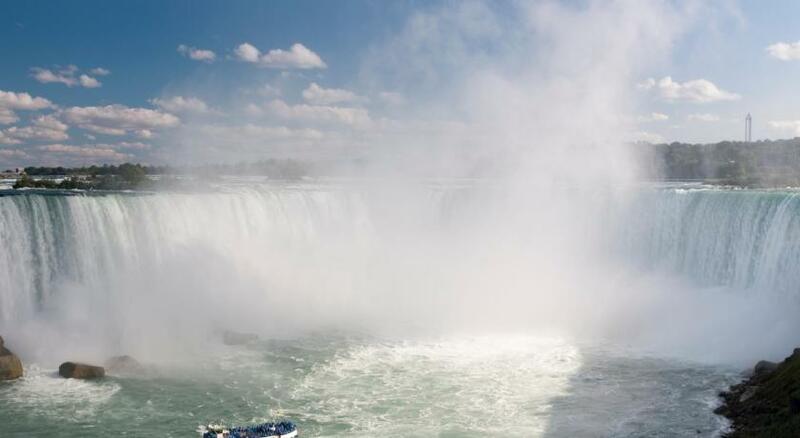 Great hotel, good atmosphere, attentive and friendly staff and the view from the superior room on the niagara falls was amazing. Further more nice restaurants options in the hotel and surroundings, free wego pass from the hotel and if i visited again i will definitely book here again. 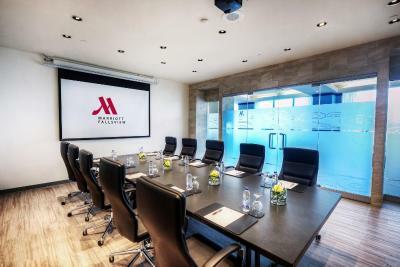 Niagara Falls Marriott Fallsview Hotel & Spa This rating is a reflection of how the property compares to the industry standard when it comes to price, facilities and services available. It's based on a self-evaluation by the property. Use this rating to help choose your stay! One of our top picks in Niagara Falls.Niagara Falls Marriott Fallsview features a full-service on-site spa. 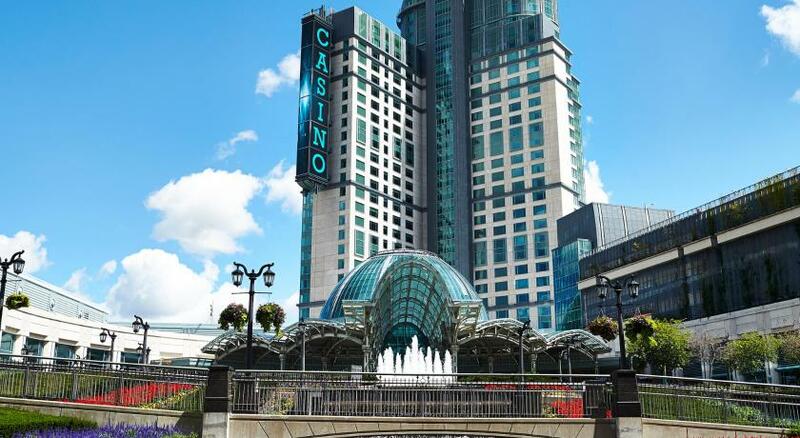 This hotel is conveniently located just 5 minutes’ walk from Fallsview Casino and the Scotiabank Convention Center. 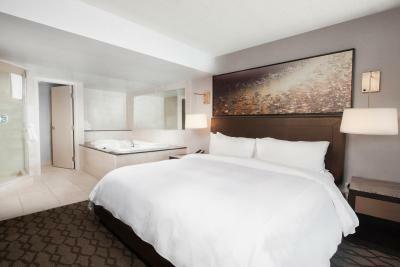 Each guest room provides a TV, coffee maker, mini-bar, hairdryer and individual climate control. Select rooms also contain a hot tub. 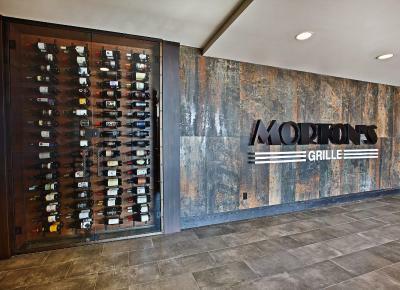 Found on site, the Morton's Grille Niagara Falls Restaurant serves locally sourced cuisine and features breath-taking views of the Falls. 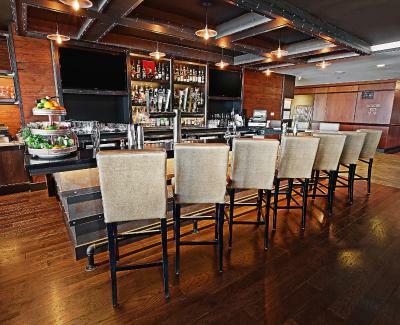 Guests will enjoy the convenience of having a Starbucks located in the lobby, while the Lobby Lounge bar features 3 flat-screen TVs and a great view of Niagara Falls. Serenity Spa by the Falls is the hotel’s boutique spa facility. It offers 2 hot tubs, a sauna, steam room and an extensive selection of Dermologica products and treatments. 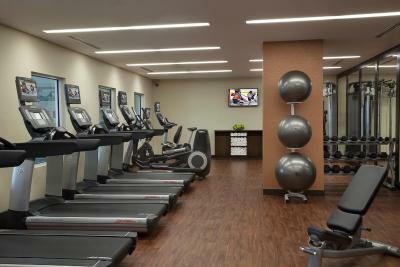 Additional amenities include an indoor pool, outdoor sundeck and well-equipped fitness center. 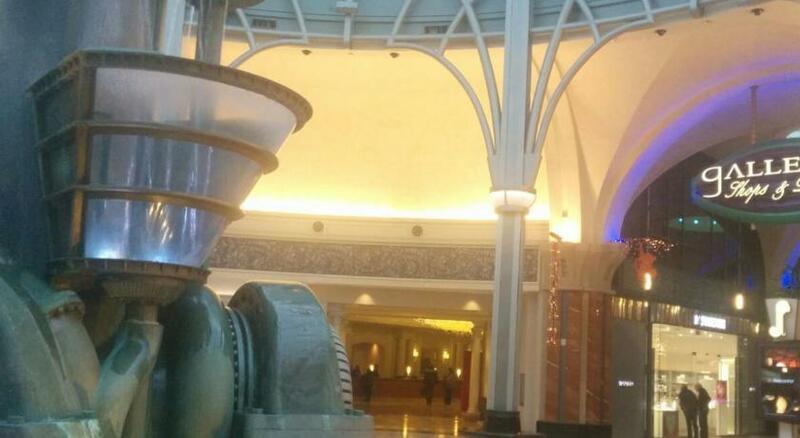 Free WiFi is accessible in the hotel lobby. Other helpful facilities include a gift shop, currency exchange service and business center. 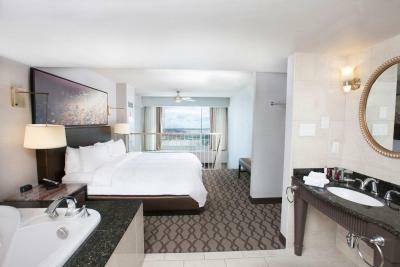 When would you like to stay at Niagara Falls Marriott Fallsview Hotel & Spa? 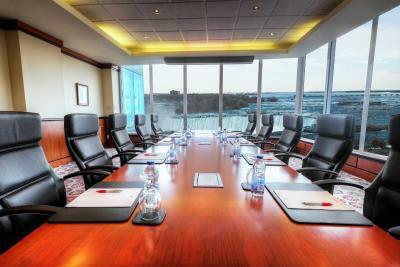 This room is on the 5th floor and offers views of the river. Cable TV is featured in this room. Private parking is available on site (reservation is not needed) and costs CAD 40 per day. 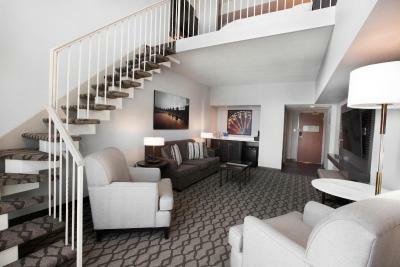 Located on floors 5 through 11, this room offers views of the American Falls, Bridal Veil Falls and the Canadian Horseshoe Falls. 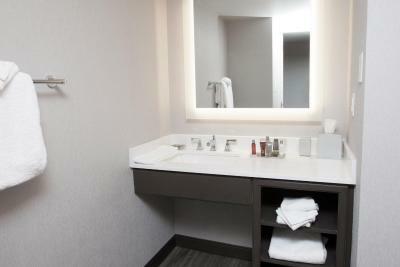 Amenities include cable TV and a coffee maker. 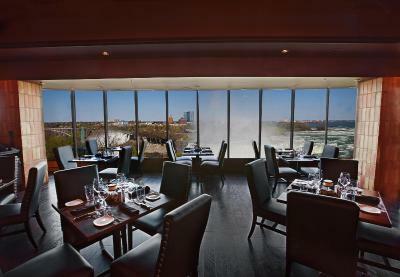 This room is located on floors 5 through 11, and offers American and Canadian falls views. A spa bath and cable TV are provided. This room contains a seating area and spa bath. 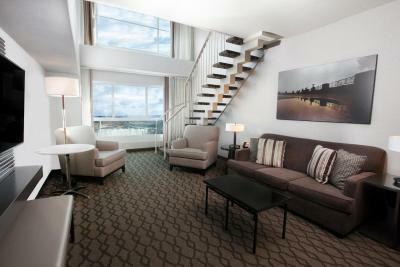 This suite features a mini-bar, air conditioning and electric kettle. This room has air conditioning, seating area and sofa. 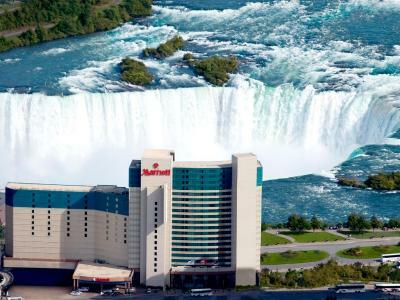 The Marriott Fallsview Niagara Falls Hotel & Spa enjoys the enviable distinction as being the closest hotel to Niagara Falls. 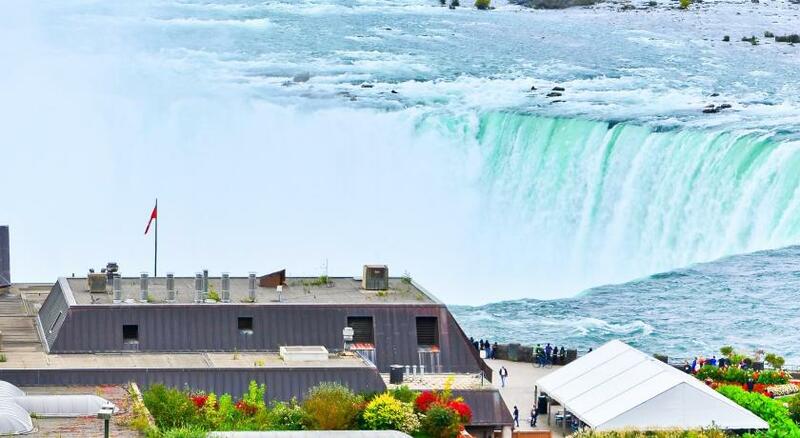 As the area's premiere luxury hotel, the Marriott Niagara Falls Hotel overlooks the majestic waterfalls and is located just minutes away from a variety of exciting attractions and casinos, as well as the Scotiabank Convention Centre. 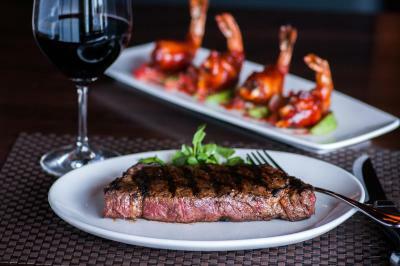 House Rules Niagara Falls Marriott Fallsview Hotel & Spa takes special requests – add in the next step! Niagara Falls Marriott Fallsview Hotel &amp; Spa accepts these cards and reserves the right to temporarily hold an amount prior to arrival. Niagara Falls Marriott Fallsview Hotel & Spa accepts these cards and reserves the right to temporarily hold an amount prior to arrival. Please note, any room/rate with "breakfast included", includes breakfast for 2 people only. Additional guests can purchase breakfast directly from the hotel. My girlfriend and I were engaged the night before staying here, so this was a mini-honeymoon of sorts. I let the hotel know a couple months early in case they could do something romantic for us. We also mentioned it again as we checked in. Didn't receive anything, and I would've been fine with this, except they asked us at checkout if we got their gift/package. And we didn't, so knowing we were supposed to is frustrating and now i'm just really curious what it was they tried to send (i.e. what i missed out on). Location and view from our room. Views were awesome. No need to do Skycon. The parking situation was less than ideal. 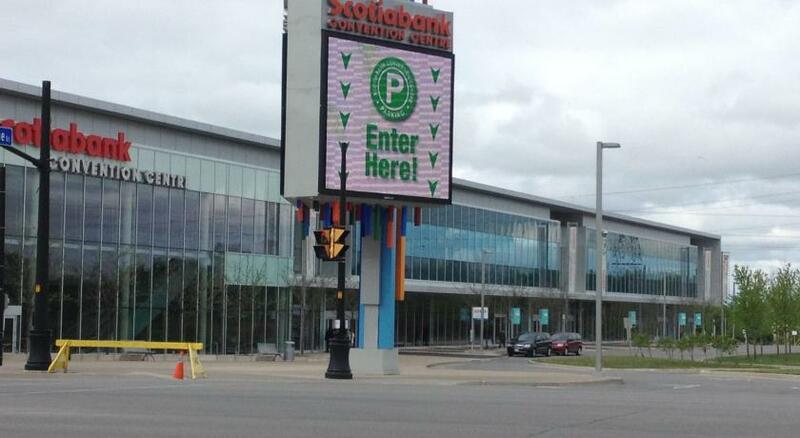 $40 a day for valet on site. 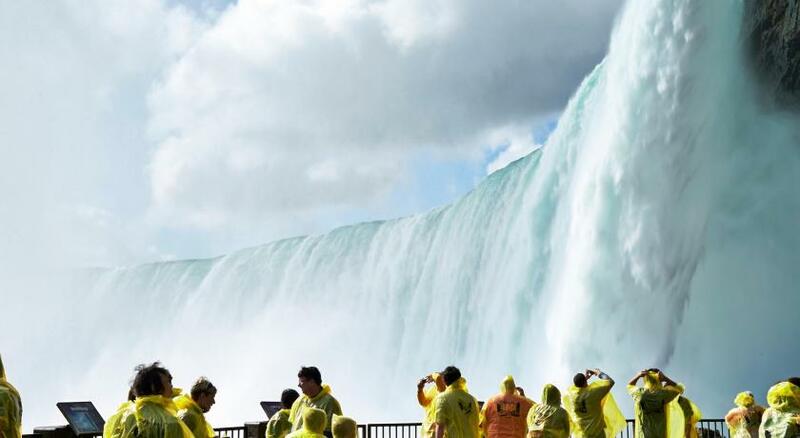 Niagara Falls also has a very questionable tax of 3.8-10% that is optional but most businesses choose to apply it. But it is very unclear where it goes.